Isiah Factor | The Insite » MEET THE NEW BOARD MEMBERS AT METRO! MEET THE NEW BOARD MEMBERS AT METRO! March 18, 2010 | Posted in Uncategorized | Comments Off on MEET THE NEW BOARD MEMBERS AT METRO! THE EXCHANGE OF POWER HAS BEGUN! The Obama Administration’s budget proposal currently includes $900 million in federal funding for the North and Southeast Light Rail Lines. The East End Line, the only line already under construction, and the Uptown Line are to be funded locally. The University Line will also require federal funding. The current best guess estimate of when that funding might be approved is 2014. 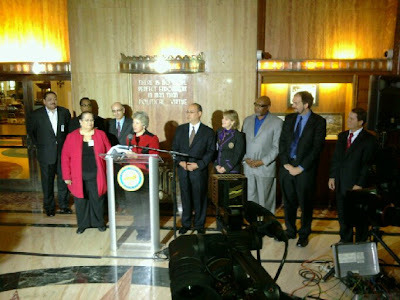 Mayor Parker’s recommended appointees are expected to be presented to City Council for confirmation April 7, in time for them to attend METRO’s April board meeting.